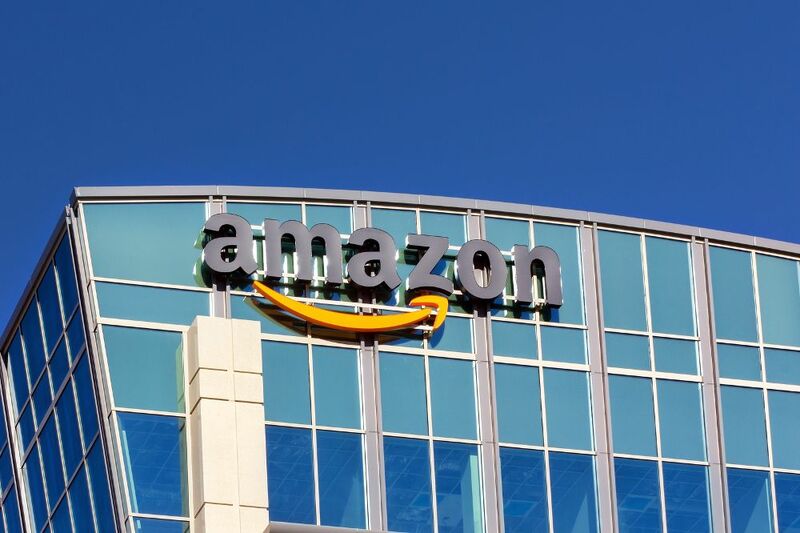 Simply investing in an idea that Amazon.com Inc (NASDAQ:AMZN) stock won't face a serious stock decline has so outperformed owning the stock out-right that it's almost inconceivable -- but these are the facts, and they are not disputed. Selling out of the money put spreads is an option investment that has a very clear belief system: The underlying stock simply will not go down a large amount. If that reality exists, the returns can be substantially larger than simply owning the stock. But, with some care, we can turn that strategy into one with even less risk, and still get the out-sized returns -- and that is what we see with Amazon. Let's look at selling a put spread in Amazon every week, but also putting a further layer of protection by putting in a stop loss. Here is the difference in the profit loss graph, where the red line is a normal short put spread and the blue line is a short put spread with a stop loss added. We can see a normal short put spread does have a risk control in place -- there is a maximum loss. But, adding in a stop loss makes the maximum loss even tighter. Applying this to Amazon.com Inc (NASDAQ:AMZN) has been a staggering winner. science option strategy has been the real news and one of the best performers over the last two-years, one-year and even six-months. That's a 243% return simply because the stock didn't collapse, while the stock price itself was up 127%. We see a 208% return. And, to add context, here is how this option strategy has done relative to the stock. It's not a magic bullet -- it's just access to objective data.